With determination to provide genuine comfort during this difficult moment, S. Jones F. and C.has been charged with the solemn duty to advise all that Mr. Solomon Jim Caudle, 62, of Rocky Mount, NC formerly of Enfield, has transitioned from this life into life eternal as of Saturday, September 15, 2018. The family has reserved Saturday, September 22, 2018, 4 pm - 6 pm, for family and friends to reminisce on the life of "Jig" as he was affectionately called by his loving family and friends, in the chapel of S. Jones Funerals and Cremations. A Celebration of Life will be held 11 am, Sunday, September 23, 2018, in the auditorium of Enfield Middle S.T.E.A.M. Academy, 13587 NC-481, Enfield, NC 27823. Interment will follow in the Cedarview Cemetery. TO RODNEY AND THE ENTIRE FAMILY. I AM DEEPLY REGRETFUL FOR YOUR LOSS. I AM PRAYING THAT GOD WILL COMFORT YOU ALL DURING THIS DIFFICULT TIME. 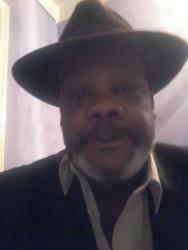 To the Caudle & Bryant Families i am so sorry y'alls loss my deepest sympathy to u ALL..RIP Jig a good guy he was. May the Grace & Mercy of God give your family peace in this difficult time. I will truly miss my brother-RIP Jig until we meet again. Condolences to the Battle, Caudle, and Bryant families.